Trace the journey of this popular vinegar soda from the farmer’s market to the mass market. 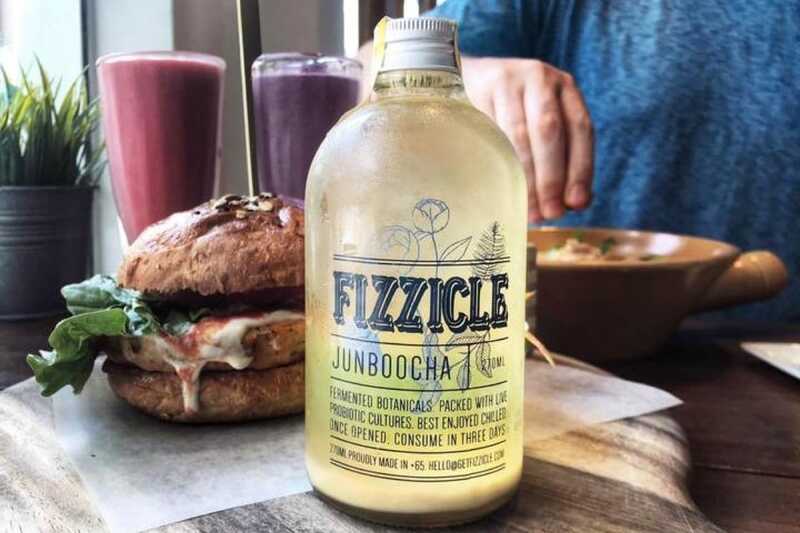 In the last decade, this fizzy, fermented drink has leapfrogged from the domain of home brewers and health food boutiques to artisanal producers and supermarkets. And the growth has been exponential, with kombucha sales in the United States up 43% in 2017, according to Nielsen. With kombucha becoming an influential player in the global beverage economy, industry giants like PepsiCo and Coca-Cola are eyeing a slice of the pie, buying over kombucha brands KeVita and MOJO respectively. 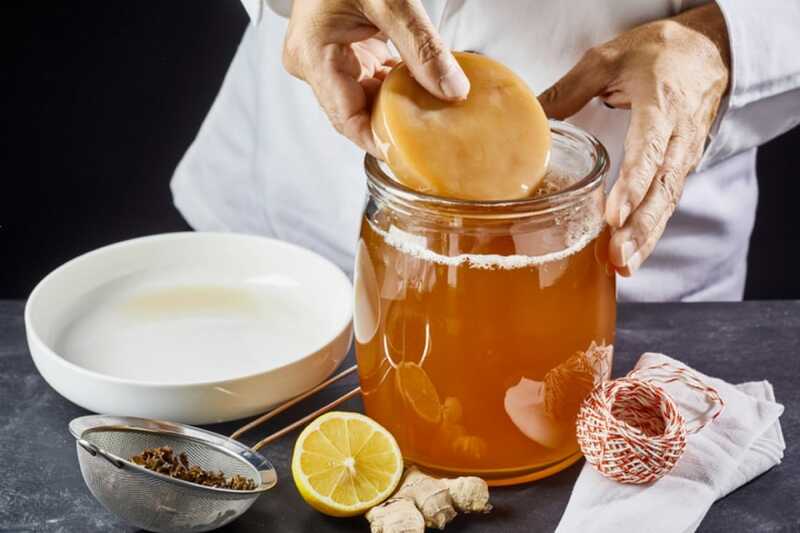 A number of factors contribute to kombucha’s enduring allure: the fermented beverage is said to have a host of health benefits, while its all-natural, handcrafted nature rides high on the artisan sales trend. And at its heart, the drink is delicious. Brewed at home, kombucha is made by fermenting sweetened tea with starter kombucha and a gelatinous pancake-like substance called a Scoby, or symbiotic colony of bacteria and yeast. The yeasts eat most of the sugar in the tea, transforming the liquid into a slightly sour, refreshingly fizzy, fermented (but largely non-alcoholic) beverage that tastes of tart green apple mixed with deep stone fruits. Kombucha’s tea base and fermentation process imparts to the beverage similar benefits as plain tea and fermented foods. These include probiotics that encourage gut bacteria diversity and aid digestion, as well as antioxidant properties. Kombucha may be trending now, but it is certainly not new. Its roots can be traced to China around 220 BC, where it was prized for its healing properties. The tea made its way to Europe in the early 20th century and is known by various names in different countries — kambucha in Russia, kombuchaschwamm in Germany. Kombucha gained popularity in the United States in the 1990s as enthusiasts began sharing their Scobies and testimonies of the drinks’ purported health benefits with others so they could brew the tea themselves at home. In 1995, George Thomas Dave inadvertently kickstarted the kombucha industry when he began selling his brand of the cultured tea in local health stores and gaining widespread popularity. 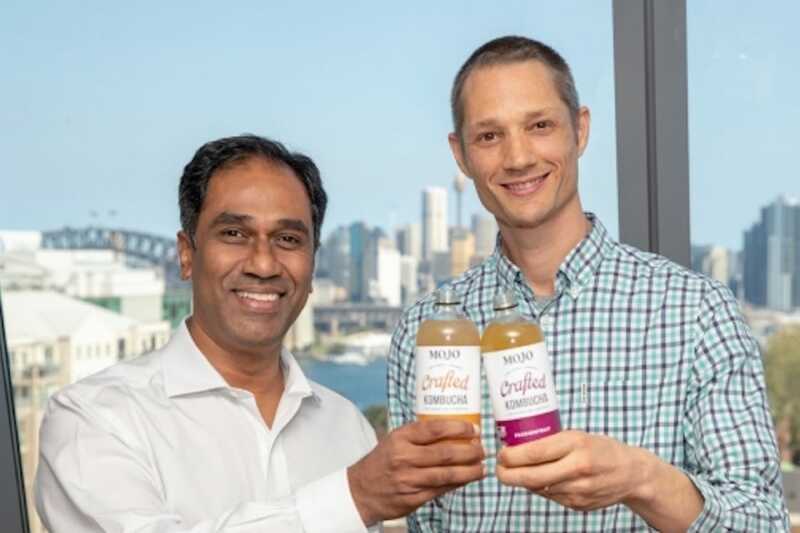 Today, GT’s Living Foods is the largest purveyor of kombucha in the United States, claiming just over half of the market share which is set to break US$1 billion (S$1.37 billion) by next year. In Singapore, you can purchase GT’s Organic Kombucha range on e-grocer Redmart and Australia’s MOJO Crafted Kombucha from Cold Storage. Here, small-batch kombucha breweries are on the rise too. 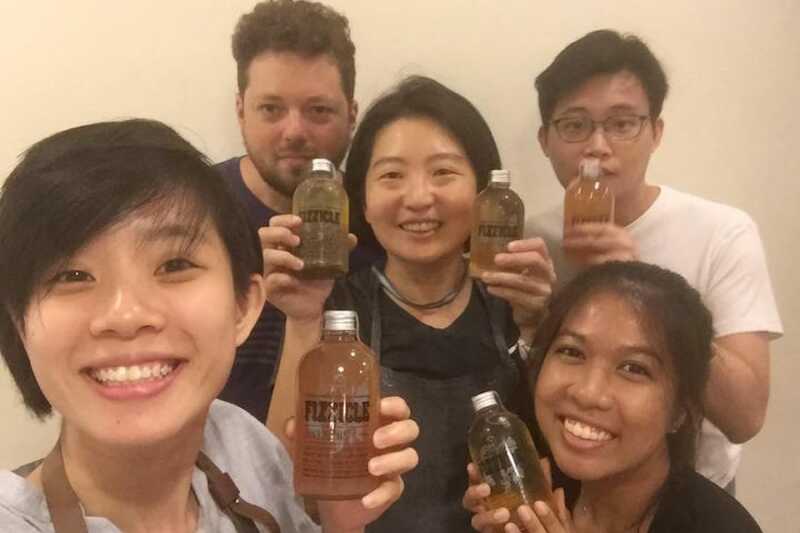 When Daniel Gerick, founder of Bushwick Biotech in New York relocated to Singapore in 2013, he became one of the pioneers of locally made probiotic products, releasing The Mad Alchemyst brand of kombucha which is now sold at selected cafes across the island. 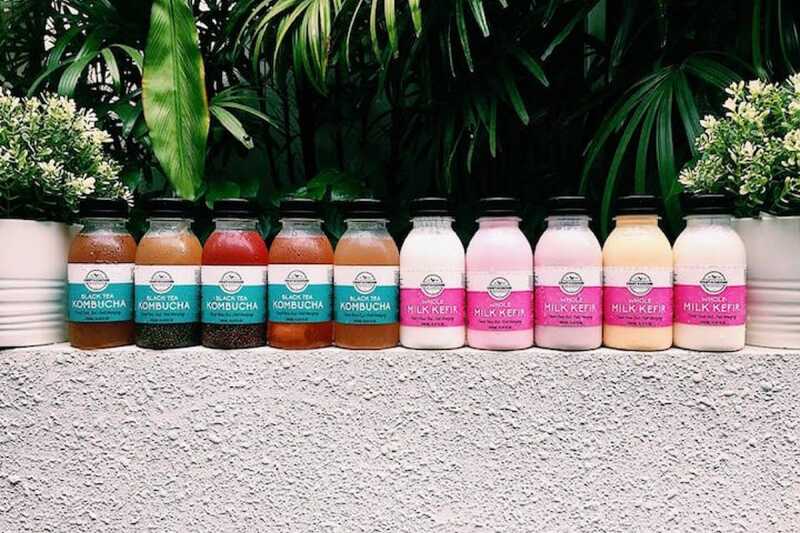 Launched in 2015, Craft & Culture produces kombucha on top of other fermented probiotic drinks like milk kefir and water kefir, and has since branched out to skincare and beauty products made from these cultures. Other variants of kombucha have also emerged. Melissa Mak, founder of local brewery Fizzicle, makes a refined sugar-free jun kombucha using a specific Scoby culture that is able to ferment honey rather than the refined sugar that other kombuchas require. The result is a naturally sparkling beverage that is a refreshing balance of sweet and tart. Fizzicle will also release its decaffeinated Calmboocha later this month. 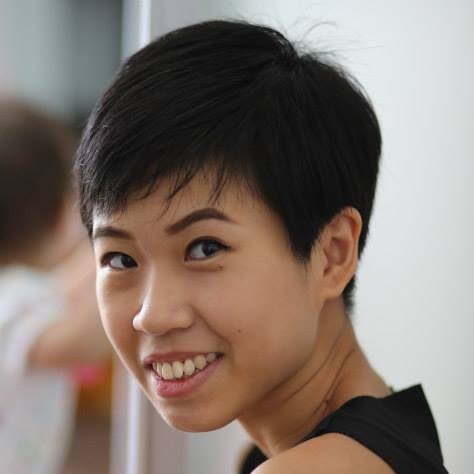 Mak also founded Facebook hobby group SG Fermentation Friends in 2015, along with two other home-brewing enthusiasts. From 1,600 members in 2016, the group has grown to nearly 7,000 members today who readily share cultures for those looking to start, troubleshooting advice and recommendations for everything from equipment to overseas finds. Here are some of the innovative brands that have mushroomed up to produce plant-based alternatives to beef, pork, poultry and eggs.